Siskowit Galloways is a small family farm raising registered Galloway cattle. 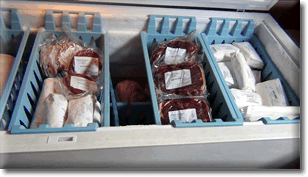 We started in 2001 with the hopes of providing our growing family with high quality naturally grown beef without hormones or implants. 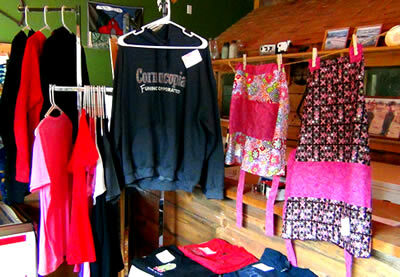 We are located in Northern Wisconsin in the small town of Cornucopia. We are only 4 miles from beautiful Lake Superior. We started out with 2 bred cows and 2 heifer calves. As our herd has grown, so has the interest in our meat. Siskowit Galloways Farm is very excited to be able to provide healthy, natural and humanely raised beef to our family, friends, and neighbors. We have registered Galloway breeding stock available. We sell New York strips, Ribeyes, Sirloins and Filet Mignon steaks, roasts, kabob meat, stew meat, 1/3# patties and ground beef. We also have ground beef available for $5.00 a pound. Please feel free to contact us with questions you may have, or stop by our retail shop. The Galloways are a breed from the rugged terrain of the Galloway region of Scotland. They were first imported to North America in the 1850's. Galloways are moderate in size, and along with their double hair coat, allows them to be more feed efficient, especially in the winter. They are also very thrifty on pasture and will eat a wider range of forages than other beef cattle. Galloways are naturally polled and are generally very docile. Their coats range in solid colors from black to dun to red and white. Galloway steers need no grain to finish, they marble naturally from the inside out, so there isn't a layer of back fat that ends up on the butcher's floor.